Isn't this just the sweetest digital image you've seen in a while? 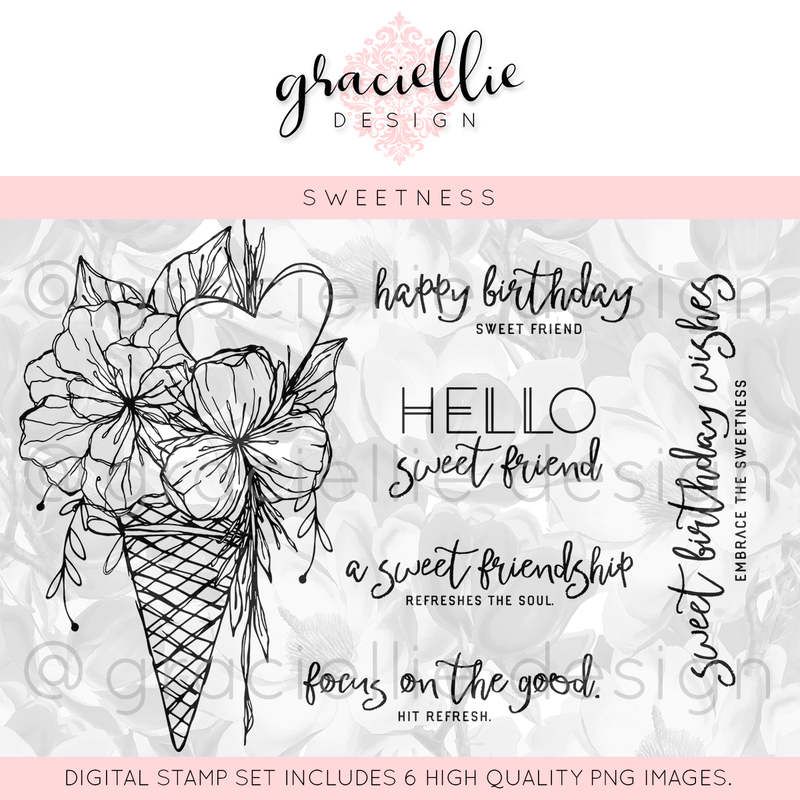 This is part of the new (appropriately named) Sweetness digital stamp set from Graciellie Design. A super card with a great image and background. Thank you for joining our 'Flowers All Over' challenge at Allsorts. This is very sweet and beautiful card for a friend, Esther. LOVE your color combo for sure! such a pretty bouquet and your background looks so cool with it! A super creatiion with lovely colours, design and flowers, many thanks for joining our 'Flowers all Over' theme at Allsorts challenge. I love the image and your coloring, also the background you created here. Thanks for joining us at Make My Monday. 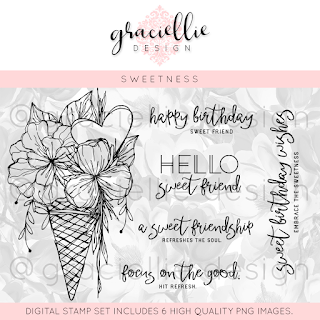 This is really pretty and I like the ice cream cone of flowers! Thanks for joining us at Tuesday Throwdown! What a gorgeous card - beautiful coloring. Thanks for joining us at Use Your Stuff.